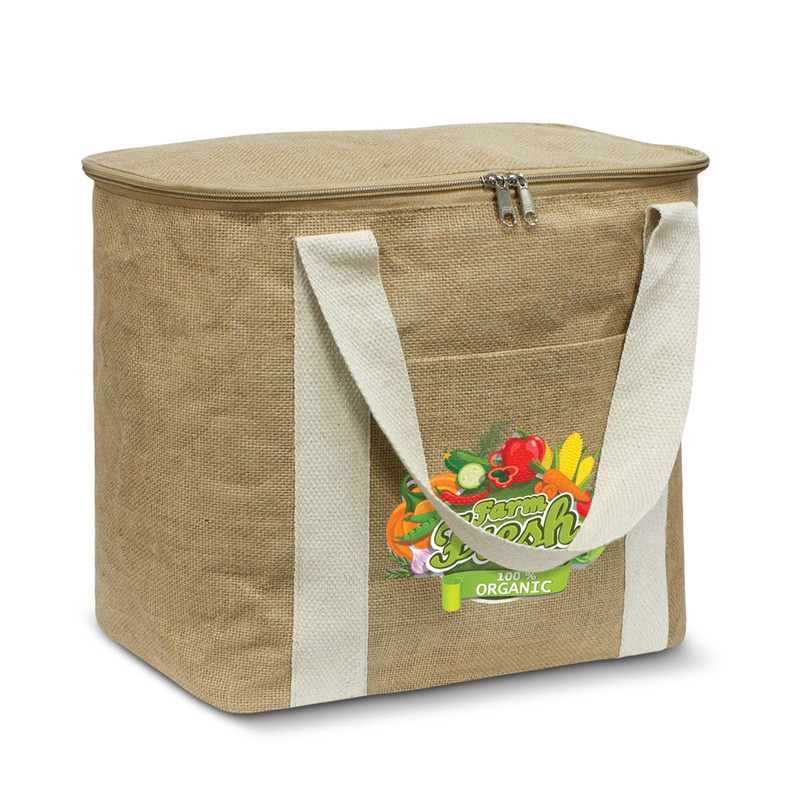 A cooler bag with jute material outer construction and a high quality print of your logo. With a unique style and outer construction made from natural jute these cooler bags really stand out. 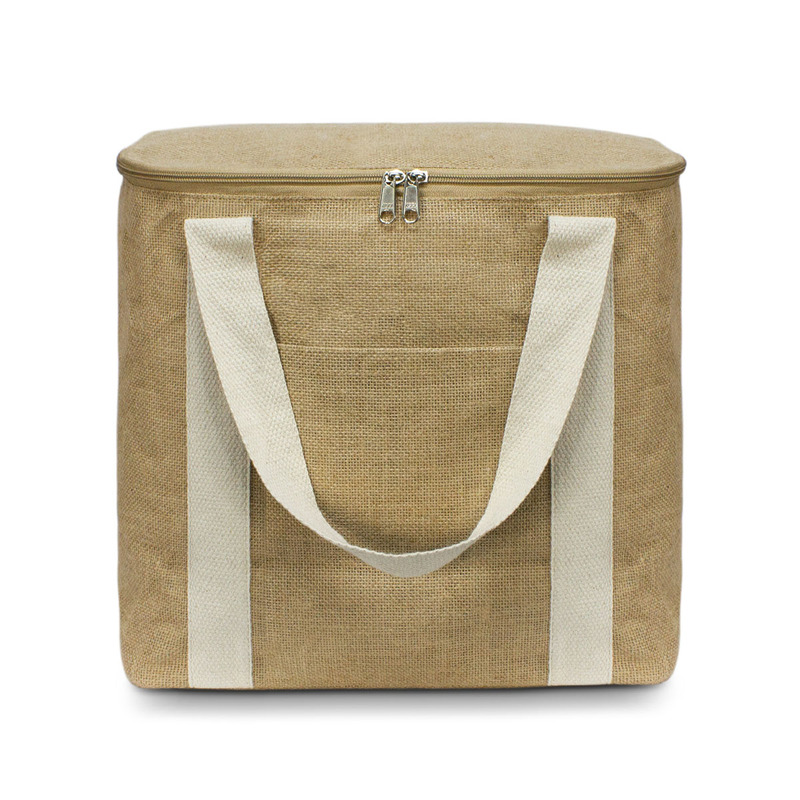 They have a 19L capacity and PE foam insulation encased in a waterproof PEVA inner liner. The cooler is complimented with natural cotton carry handles, a zippered top closure and a jute slip pocket on the front. A great way to get your logo known! Dimensions H 320mm x W 320mm x Gusset 190mm (excludes handles) Handle Length: 510mm.